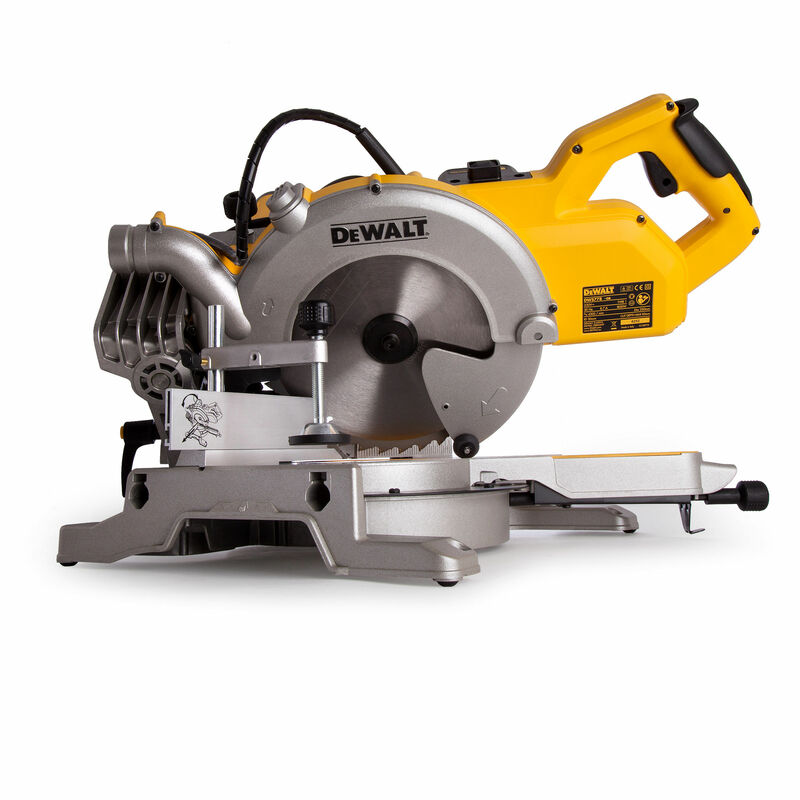 DeWALT DWS778 Mitre Saw has a blade size of 250mm. 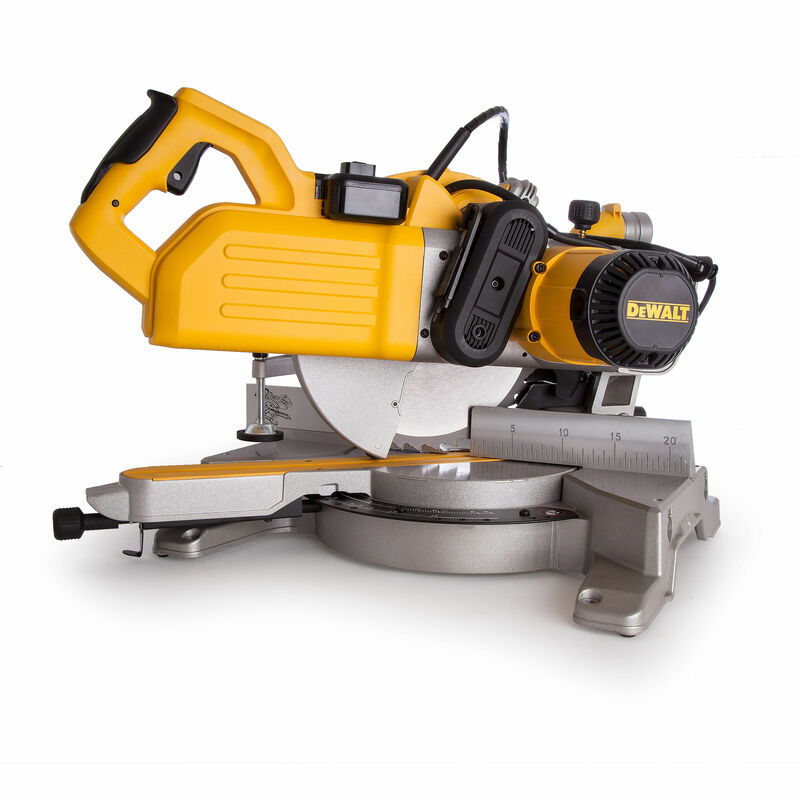 The DWS778 mitre saw is powered through a tough 1850w motor in the 240v and 1650w motor in the 110v allowing superb cutting ability in all materials. The base and fence have been machined to meet accuracy required for todays demanding applications with the sliding left hand fence having a measuring scale that improves material management and support. 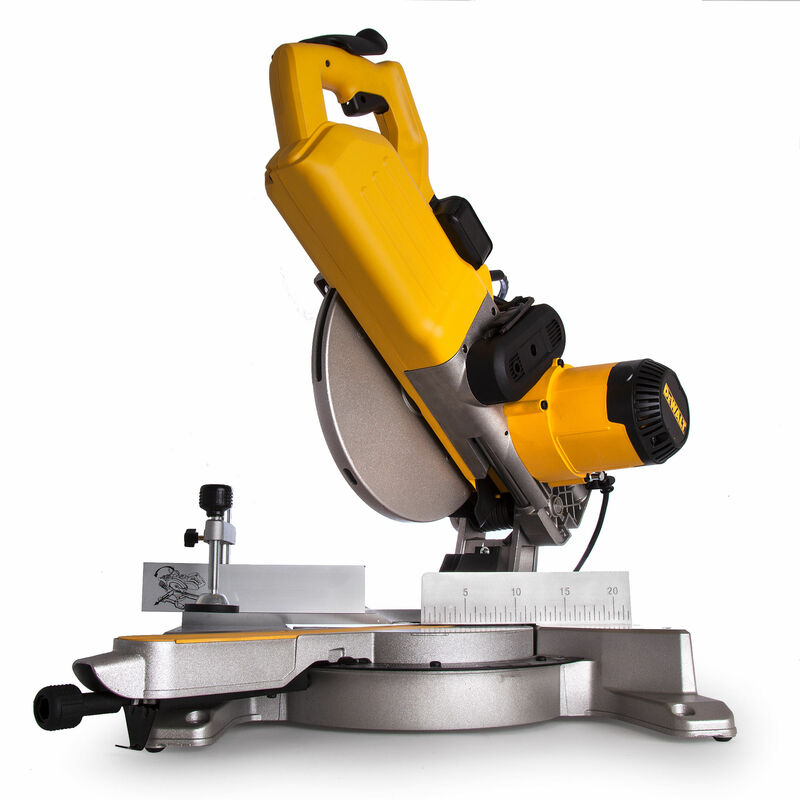 As with most DeWALT mitre saws the DWS778 comes with the very useful and easy to use XPS Shadow line cut indicator providing fast very accurate alignment of the blade while illuminating the work piece. 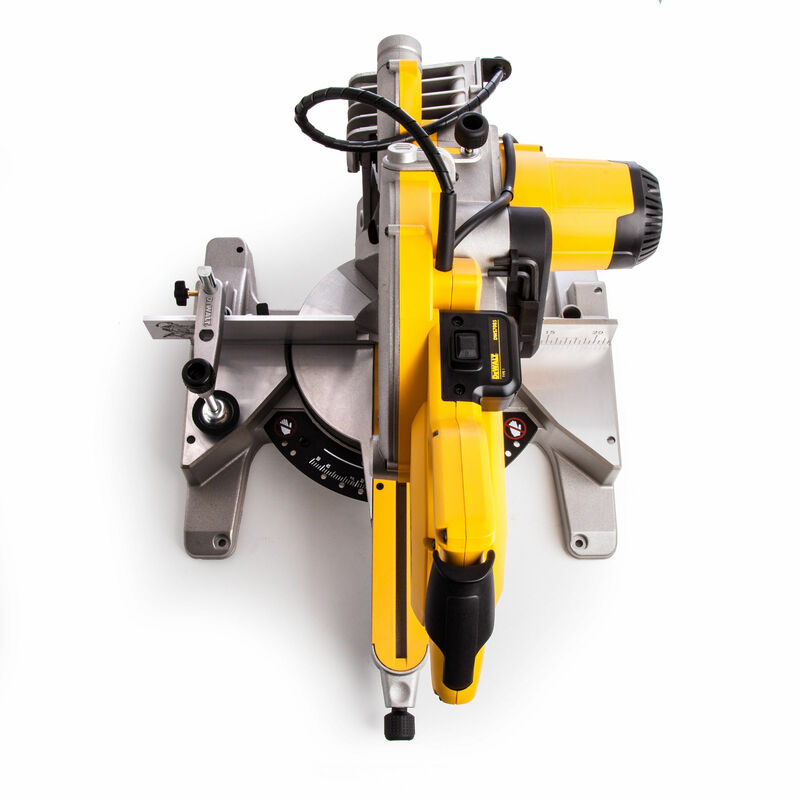 Other features include a new head lock function that allows the head to be fixed restricting the traverse function for trim applications and easy transportation around the jobsite or in the van. 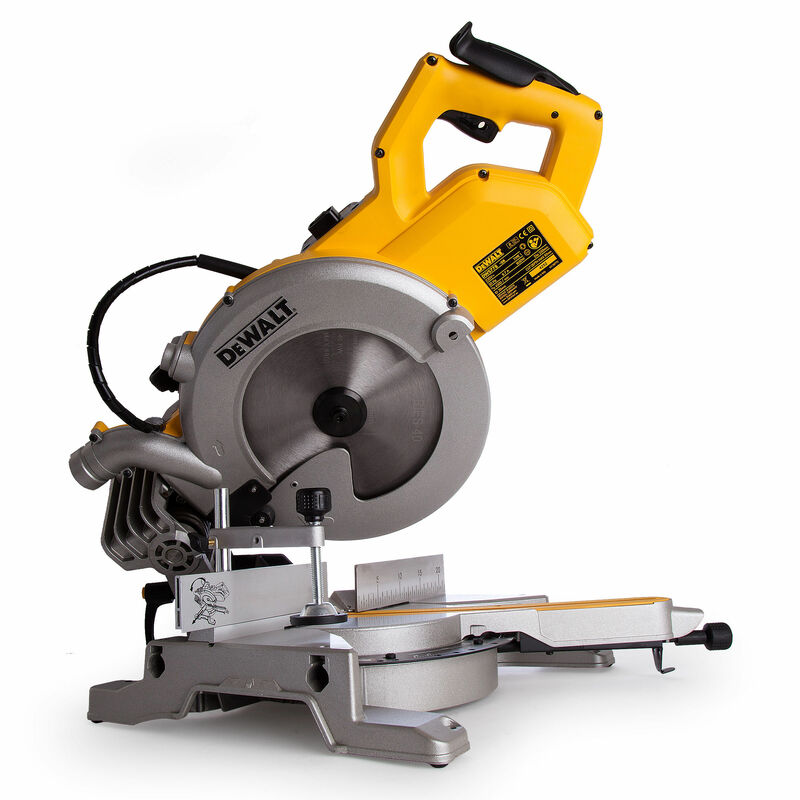 DWS778 mitre saws use a dust extraction facility specifically designed to meet the needs of the professional tradesman protecting against airborne dust particles reducing health risks.